We offer a great choice of different types of temporary (portable and suitable for road works) and permanent signs (fixed to a sign post). Our wide selection allows us to cater to almost all budgets and individual requirements. You will find that all of our signs intended for street works and on road use include a highly reflective face that is very conspicuous. 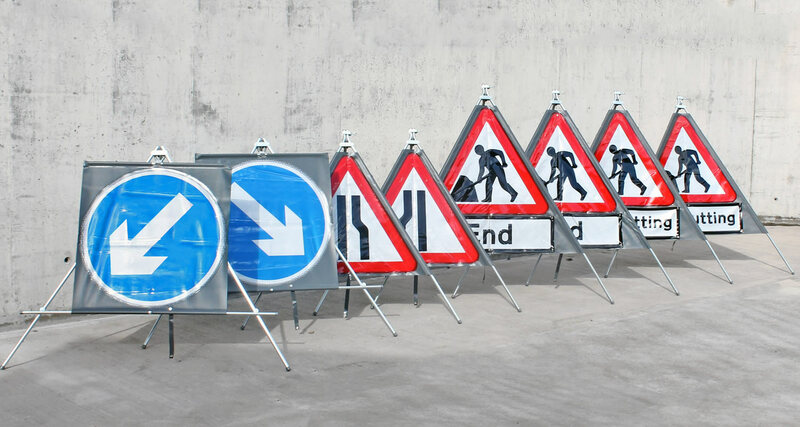 Our range even includes yellow diversion and warning signs that have directions for vehicles to navigate around street works and construction areas safely. These metal signs fit to steel frames using metal clips, they are one of the most common types of traffic signs to be seen on British roads. Q-signs are a modern alternative to the metal signs, they offer durability, and lightweight construction on a strong plastic frame. 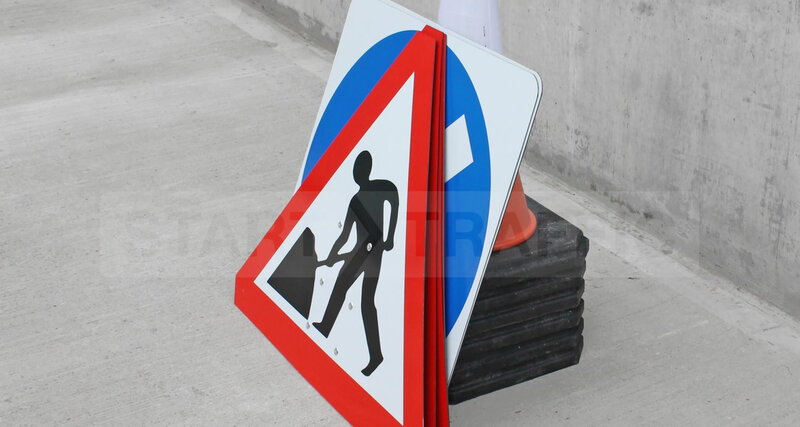 Cone signs are a simple sign that can be hung over a conventional 1 metre or 750mm traffic cone. Folding signs are very compact and roll up when not in use to take up minimal space. Triflex version requires no additional weighting. Classic version is great on uneven ground. Are Your Road Safety Signs Past Their Best? "Symbols are clearly legible despite some abrasions on the sign face. The colours are vivid." "There are numerous abrasions on the sign face, but there are no large areas missing or covered by residue. Despite some colour fading the sign face remains vivid." "A high proportion of the sign face is damaged. The obvious colour fading no longer matches the standard colour"
Signs that are commonly seen on road works can be split into four main classes that all ensure that road traffic is correctly controlled. You will see these on normal ‘A’ roads and even on motorways. 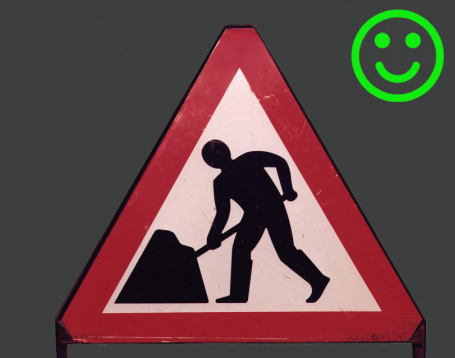 These triangular signs are usually the first sign that you will see when approaching road works they are there to inform drivers of an approaching hazard; you will normally see the most common “men at work” sign around road works. Most triangle road signs warn of hazards such as workers in the road, narrowing carriageways, and potential queuing traffic. These red signs offer information to both motorists and pedestrians ensuring they understand things like where to stop and wait at temporary traffic lights, where pedestrians should be waling. Some of these also mark site entrances and exits so that motorists know to expect traffic to slow at these points as vehicles enter or exit the site. Circular signs generally give orders to motorists, such as keep left, keep right or no right turn. They can also be used to enforce a temporary speed limit zone or area of no entry. Blue signs are generally used to give directions through a site whilst red outlined signs generally restrict access either by speed or entry. Finally, if there is a road closure then you will normally see yellow diversion signs stating that a road will be closed, how long for, and where to go during that closure. These diversion signs normally pop up around road works a few weeks before work even starts to inform motorists to take another route if possible to avoid delays. Of course there are many other types of signs not covered here, such as stop and go signs, all signs should be Chapter 8 compliant both in how they are made, and how they are laid out, this is covered in further detail below. 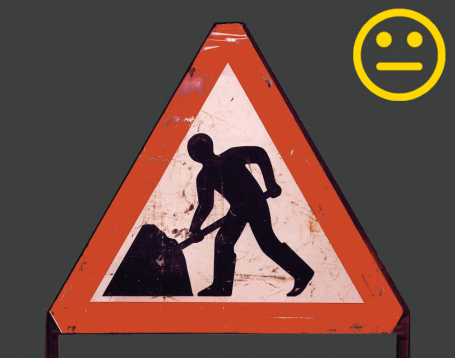 Road works can be a dangerous place for both workers and motorists if traffic is not controlled correctly. Motorists need to be informed of obstacles and distractions that may be ahead as well as narrowing lanes, men in the road, diversions and road closures. There are strict regulations on the types of signs that are used on the public highway including in and around road works. All signage has to be the right size, reflective for improved visibility, and in good condition as outlined in the chapter 8 signs guidelines. Our wide range of roadwork signs are all compliant with regulations so long as they are used as per the guidelines in the red handbook discussed above. Failure to use the correct signage can leave workers and the general public in danger should there not be sufficient warning for a driver to adjust their driving accordingly. By using the right roadwork sings you are ensuring that you reduce risk and potential hazards. Looking For Fixed Street Signs? We are able to custom make fixed signs for use on private land and public roads including industrial estates, farms and schools. We consider anything attached to a pole which is inserted into the ground a fixed sign. We have dedicated pages for post-mounted signs and speed limit signs. Please call our sales line to see if we can help you with your requirements. 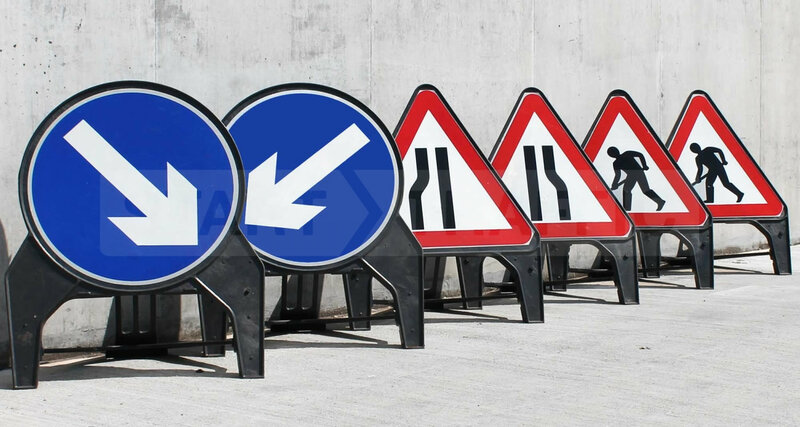 Need help getting the right temporary road signs? 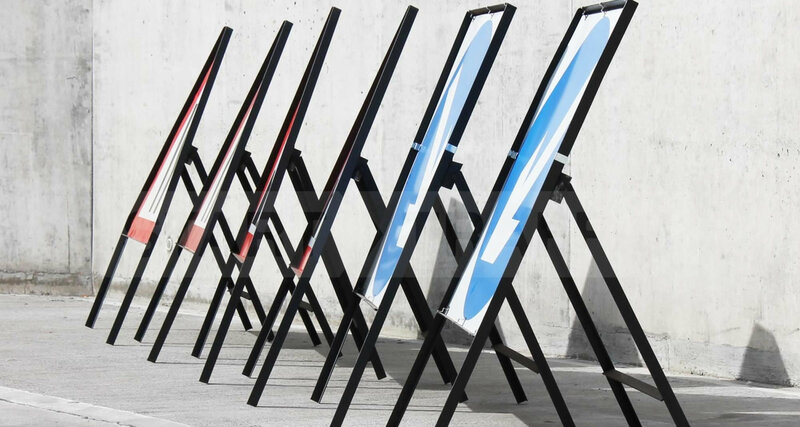 Our trained sales team will be happy to help with any questions that you may have regarding purchasing road signs. If you have any questions regarding the setting out or deployment we advise that you check the regulations as dictated by the chapter 8 traffic signs manual (see our regulations page).